On August 27, 2012, media reported that grammy-award winning singer John Mayer underwent vocal cord surgery for a 2nd time in an attempt to permanently remove a recurrent vocal cord granuloma. 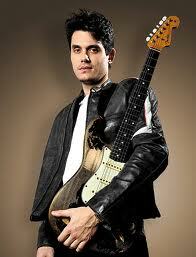 Fans know that in September 2011, John Mayer announced the cancellation of a number of concerts as well as an album due to the development of a vocal cord granuloma of his voicebox. Read a blog article about this. On Oct 20, 2011, he underwent surgery for the first time to remove the granuloma and was on strict voice rest for several weeks with plans to resume live singing in the first quarter of 2012. "Because of this, I have no choice but to take an indefinite break from live performing. Though there will be a day when all of this will be behind me, it will sideline me for a longer period of time than I care to have you count down." Well, it seems that whatever intervention pursued since March 2012 did not work completely given the repeat surgery. Given this is his second surgery for the same problem, I suspect that not only was the granuloma removed, but perhaps steroid was injected into the wound bed to try and prevent the tissue growth that may lead to granuloma reformation as well as application of mitomycin C, a chemotherapy agent. Post-procedure treatment with PDL or KTP laser may also be pursued to ablate any proliferative blood vessels that my encourage granuloma formation. Botox may even have been injected to partially paralyze his ability to bring the vocal cords together to prevent phono-trauma to the site. Is this unusual that his vocal cord granuloma recurred? Vocal cord granulomas are benign masses that commonly are due to repetitive mild vocal trauma resulting in exuberant growth of a specific region of the voicebox lining. An imprecise analogy of what a granuloma is would be a keloid of the skin. Unfortunately, such repetitive mild vocal trauma includes talking/singing, hence the high risk of recurrence. The key to treatment is to allow the granuloma site to heal COMPLETELY prior to any further phonotrauma (ie, talking/singing). That means strict voice rest. "Silent for the next few months, no singing for probably six, but all signs point to this being the last step in getting to perform again." Strict voice rest as well as voice therapy helps as it eliminates the repetitive phonotrauma that promotes regrowth. Reflux control is also essential with medications. 1) Trial restricted voice use and reflux medications. Voice therapy also strongly recommended. Strict voice rest is preferred if possible. 3) Follow-up with steroid injections to the granuloma site. Watch video below. 4) Botox injection can be considered which chemically prevents complete vocal cord adduction preventing the repetitive trauma to the granuloma site. 5) Re-excision may be required at which time mitomycin C application can be tried. Read more about voicebox granulomas.